As part of his artist-in-residence and the LookOut! Art Gallery exhibit Ripped & Torn: Punk at the Intersection, Martín Sorrondeguy will offer a talk followed by a zine workshop on April 16. 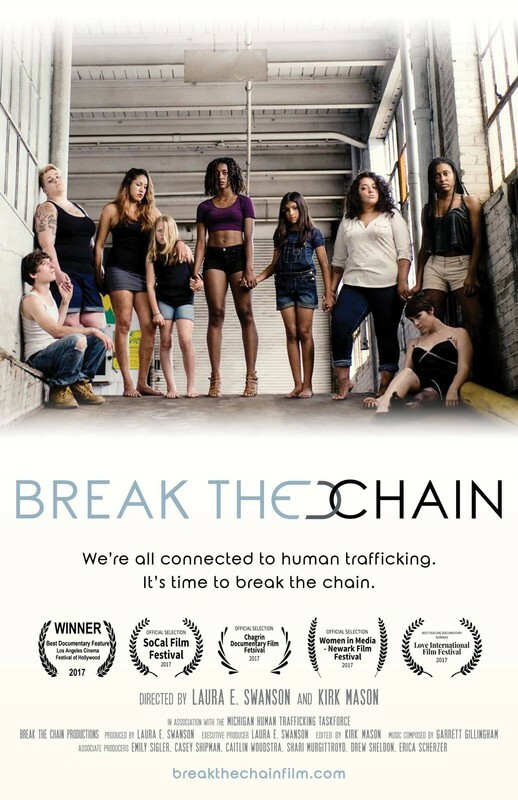 RCAH graduating senior Charlotte Baykian gives her take on the 'Break the Chain' documentary, co-directed by RCAH alumnus Kirk Mason. The new center is open Tuesdays and Wednesdays from 3 to 6 p.m. in the Language and Media Center (LMC) located in the basement of Snyder-Phillips Hall. 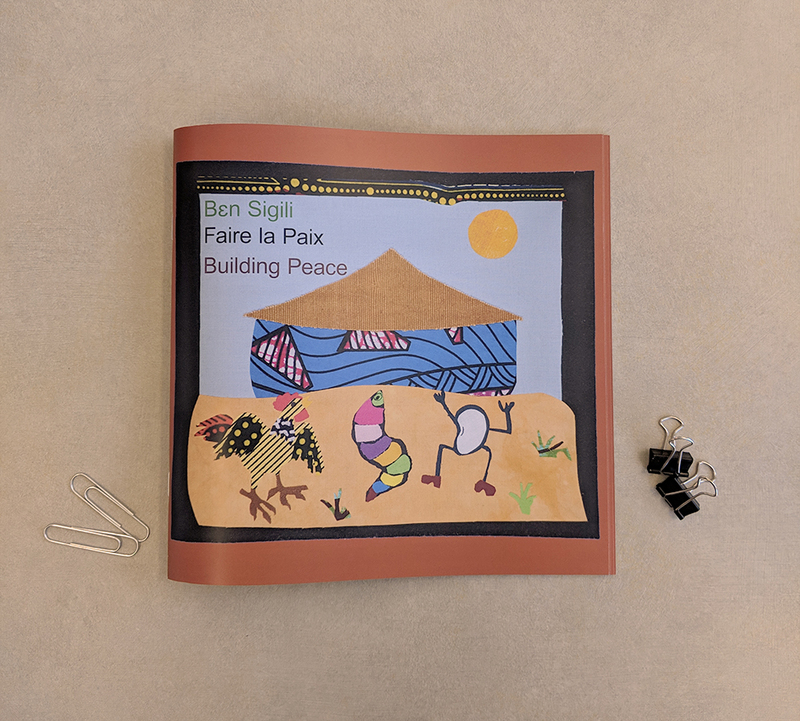 A collaboration between RCAH and several communities in the country of Mali in West Africa has prompted the creation of a video, "Building Peace", as a tool for peace education for students living amid civil unrest. Cindy Hunter Morgan, interim director the RCAH Center for Poetry, talks about all things poetry as the Spring Poetry Festival kicks off. Seven students from RCAH will present their work at the 21st annual University Undergraduate Research and Arts Forum this Friday, April 5, at the MSU Union. “It’s okay to fail or to explore options that others don’t necessarily agree with,” says the RCAH senior. 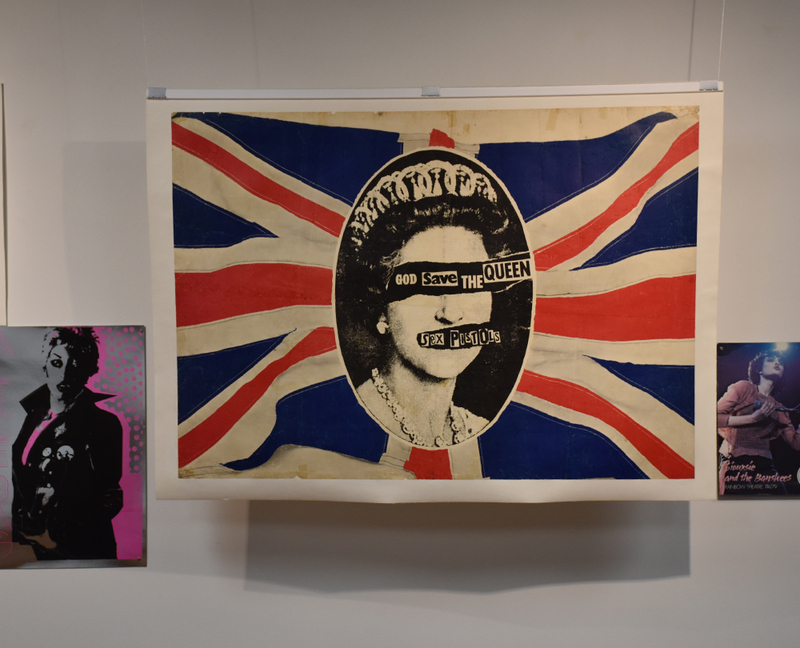 Featuring photos and artifacts from the Punk era, the exhibition argues that “punk” has never been one thing but is, rather, a movement riven by questions of identity from the beginning. 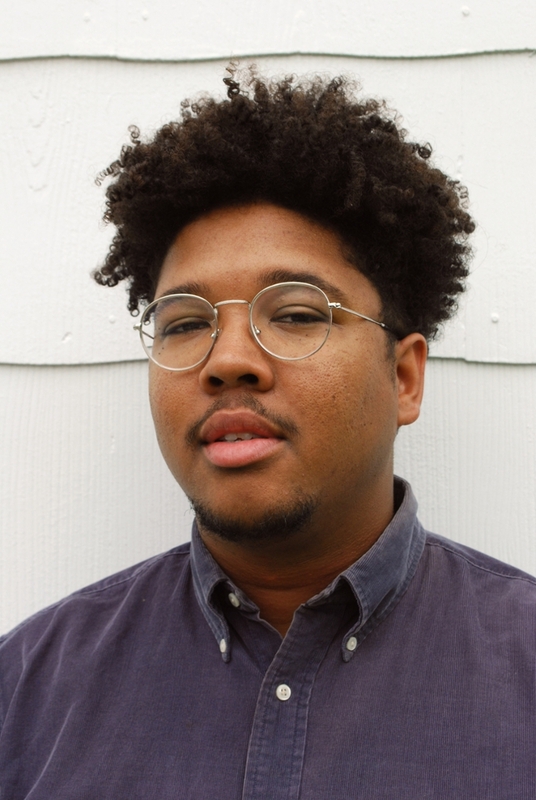 The RCAH Center for Poetry’s 2019 Spring Poetry Festival will feature three of America’s leading voices in poetry confronting issues such as exploitation, oppression, invisibility, and erasure. Many RCAH alumni are using their talents in the field of law, crediting their successes to the skills and resources they gained in RCAH. RCAH, in collaboration with the Graduate School at MSU, announces a call for applications for the Cultures and Languages across the Curriculum (CLAC) fellowship program in undergraduate teaching and learning for MSU graduate students. The Annie Balocating Prize for Poetry began in 2011 in honor of Annie Balocating (1979-2018), a poet and alumna of the former Residential Option in Arts and Letters (ROIAL) program at Michigan State University. 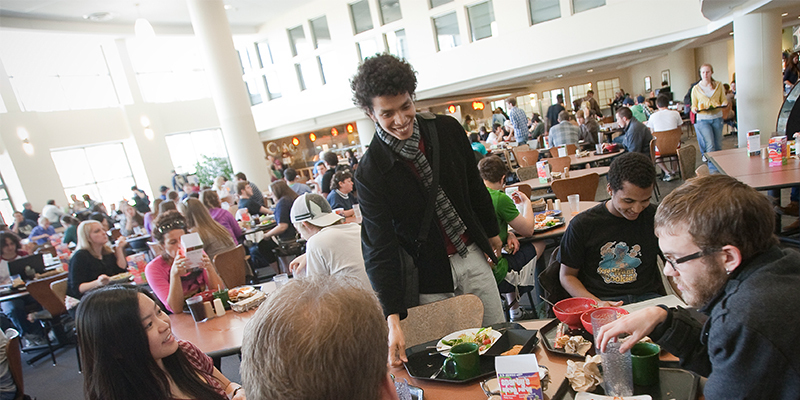 Learn about service center, building, RA and dining hours of Snyder-Phillips and Mason-Abbot Halls. The exhibit explores the creative work of the incarcerated while also bringing to life their voices and the deprivation they have experienced. 'Promethea in Prison' is an innovative theatrical reading of Aeschylus’ 'Prometheus Bound,' exploring the impact of mass incarceration and the relationships between the imprisoned and their jailers. RCAH Assistant Professor John Aerni-Flessner has co-authored an editorial in The Mail & Guardian, South Africa’s largest and most influential weekly newspaper, about political change in Lesotho. 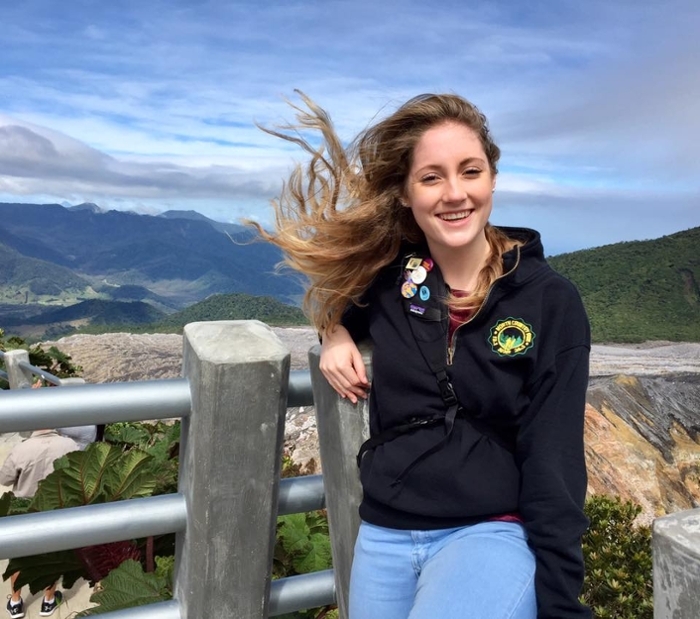 RCAH student Sadie Shattuck ’19 is a winner in the MSU Honors College’s 2nd Annual Diversity Research Showcase. RCAH student Sariah Metcalfe thanks the College for providing a space for them to grow as an activist, organizer, public speaker, trainer and collaborator. During a time on campus when sexual assault is at the forefront of the cause for change, RCAH students are rising to the occasion. Going to prison is not usually what you think of when college coursework comes to mind. But that is exactly what a group of students in MSU’s Residential College in the Arts and Humanities (RCAH) have done. Justin Bryant is showcasing his work in the exhibit “Lingering in the Minor Key” as part of the 8th Annual Perspectives on African-American Experience: Emerging Visions Residency and Exhibition. RCAHive Magazine will be relaunching early this semester. RCAH Dean Stephen Esquith's letter to the RCAH community about the past year and how RCAH will contribute to healing and change on MSU's campus. 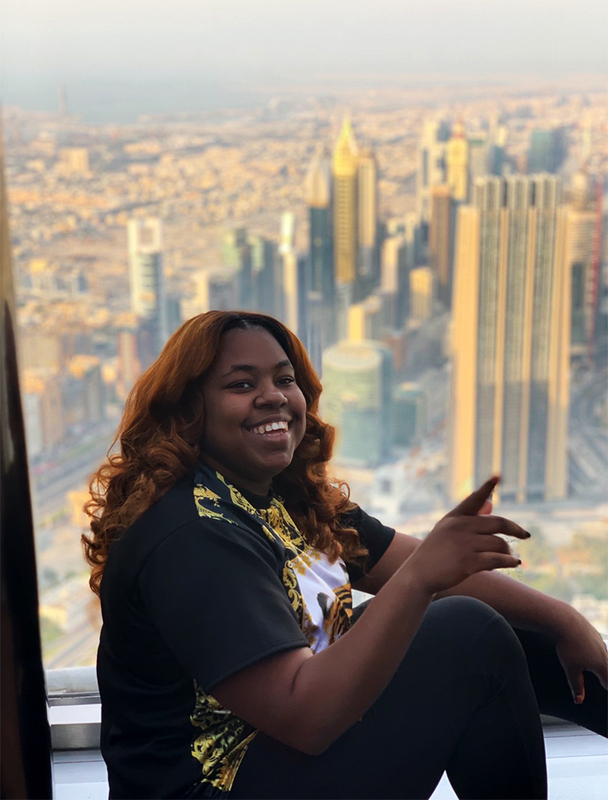 RCAH senior Norrlyn Allen, who is a study in engagement, is profiled in this story on the Office of the Associate Provost for Undergraduate Education (APUE) website. LookOut! Art Gallery will be exhibiting 111 Stories and Integrated Language Option (ILO) presentations from RCAH students and faculty until the end of the semester. The 2017 RCAH graduate works for the National Symphony Orchestra at the John F. Kennedy Center in Washington D.C. Paintings, drawings, and murals about the feminine and the environment by Dine Xicana artist Nanibah Chacon. 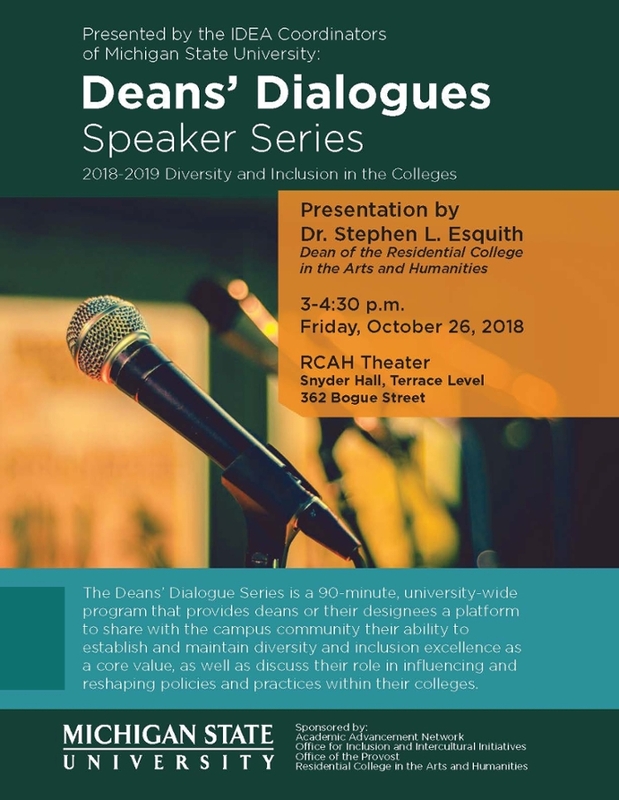 RCAH faculty, staff, and students join Dean Esquith to share their experiences working collaboratively with organizations in diverse communities to address social justice issues and community needs. 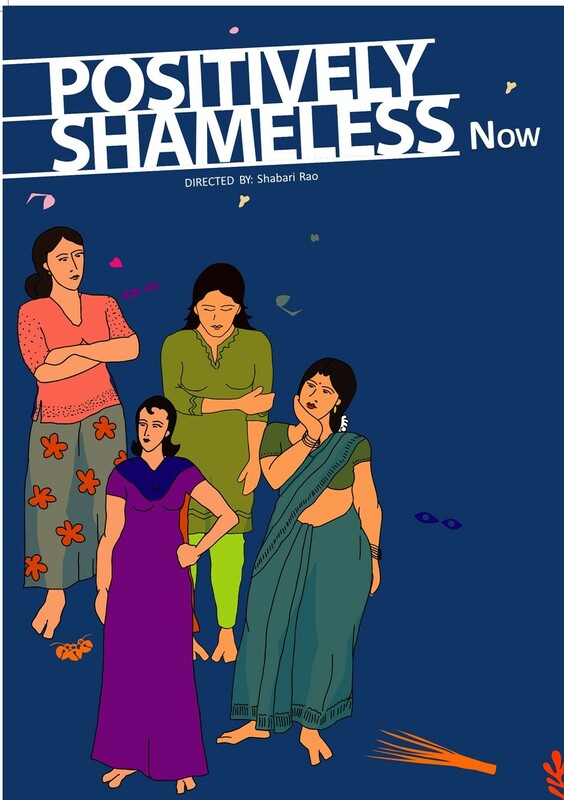 The theatre group, whose work delves into childhood sexual abuse, will offer a workshop on October 30 and a performance on October 31. Exhibit explores the representation of various kinds of dancers in India, dating from the colonial period to the twentieth century. 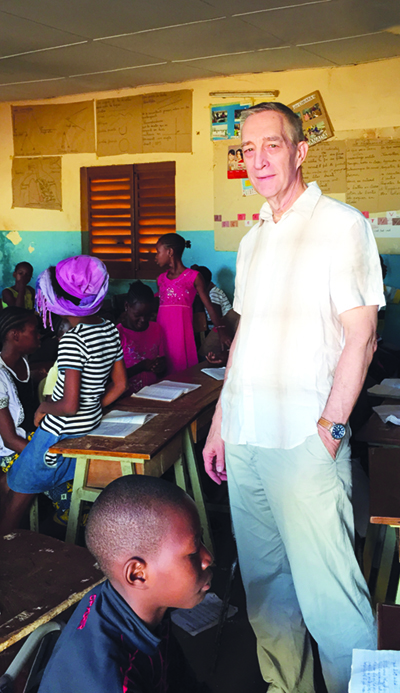 RCAH Dean Stephen Esquith has contributed an essay on ethics and development in Africa to The Enagaged Scholar magazine as part of MSU's Year of Global Africa. It’s difficult to define the ideal RCAH student, although senior Sadie Shattuck comes pretty close. Three-day festival is part of MSU's Year of Global Africa. RCAH Professor John Aerni-Flessner has published his first book, “Dreams for Lesotho: Independence, Foreign Assistance, and Development,” featuring his extensive research on the history of development at the end of colonialism and after independence in Africa. Come home again for another event-filled weekend at RCAH. RCAH's ongoing collaboration with Lansing's vocational rehabilitation program Peckham, Inc., is exemplary, says Dean Stephen Esquith. Learn about some of the current and upcoming projects. The RCAH Center for Poetry 2018 Fall Writing Series includes locally and national renown writers and musicians. Events are free open to all. Learn more. 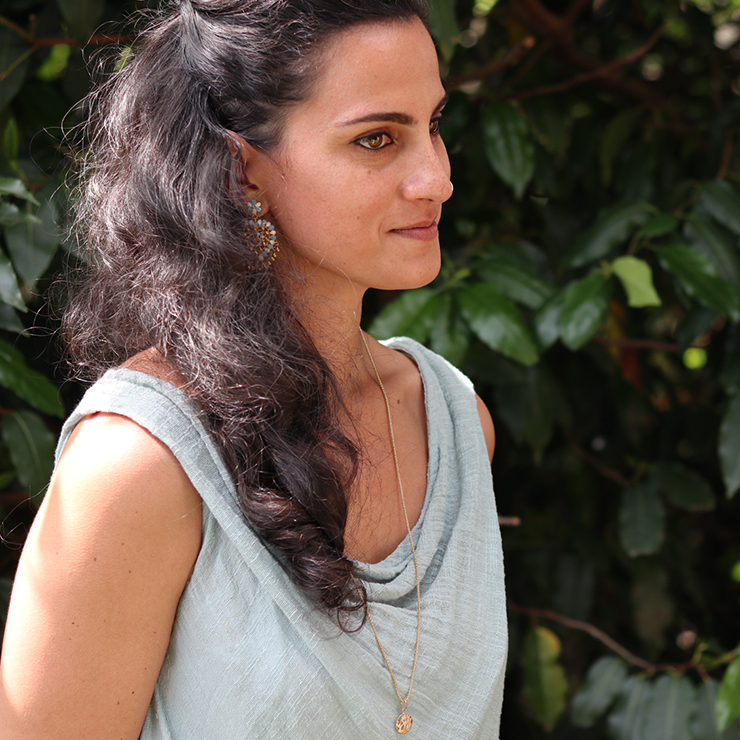 “Re-Presenting the Indian Dancer: Gender, Sexuality and the New Orientalism” is the topic of a presentation by RCAH Professor Sitara Thobani on September 21, 2018, part of the GenCen Fall 2018 Colloquia Series. Speakers from South Africa and the United States will look back at the campaigns for justice which led to the MSU decision to divest, resulting in MSU becoming the first university in the nation to completely divest and Michigan passing more sanctions on South Africa than any other state. Students working together on group projects in their courses have to find a sweet spot where collaboration encompasses independence and independence includes mutuality, Dean Esquith says. Read more. 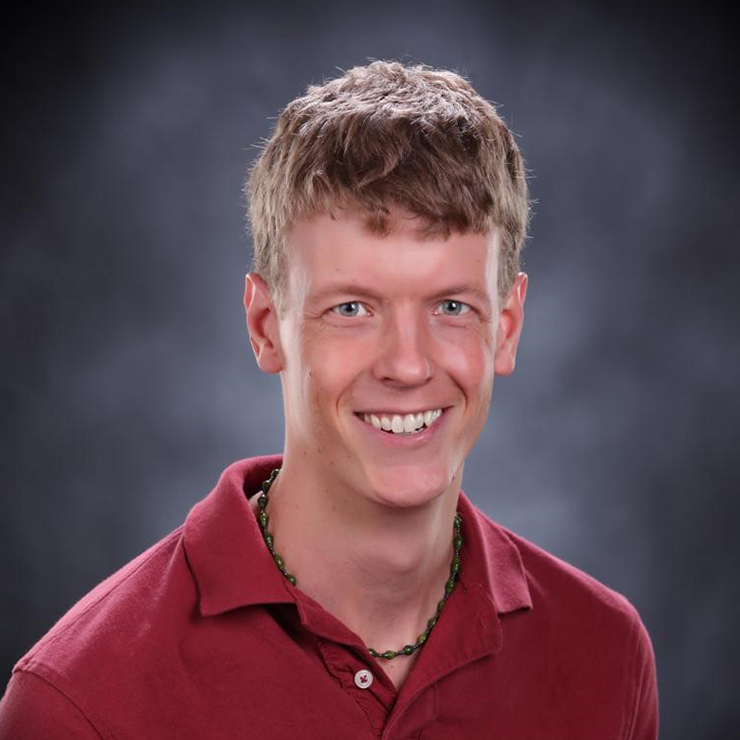 Two alumni of MSU’s Residential College in the Arts and Humanities recently received Fulbright scholarships to pursue graduate studies. "Despite the odds," Dean Esquith writes, "some very good things have been accomplished by students and faculty in the arts and humanities at MSU. The creation of a new Residential College in the Arts and Humanities (RCAH) 10 years ago was one of them." Read more. MSU's three residential colleges banded together to host a day-long Teach-In/Learn-In on Tuesday, February 27, in the MSU Union in response to the Larry Nassar sexual abuse scandal. Professor Thobani describes her studies, her teaching, and the importance of contextualizing social social change in this Q&A with Kate McGormley. Read more. RCAH is committed to constructing inclusive democratic practices and institutions in a political language that we all can take pride in and trust, the Dean says. Read more. Read more for the details of RCAH's 10th Anniversary Celebration. Call for application submissions for MSUFCU RCAH Dean's Choice Award for Innovations in Civic Engagement. 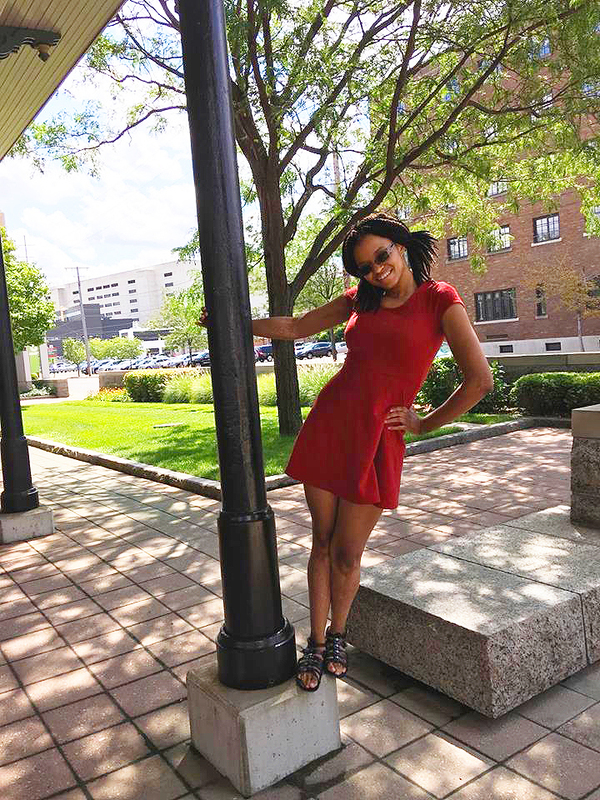 RCAH Professor Lisa Biggs won the John S. and James L. Knight Foundation grant to fund the production of "AFTER/LIFE: In Honor of the City Rising from the Ashes" in Detroit. Read more. 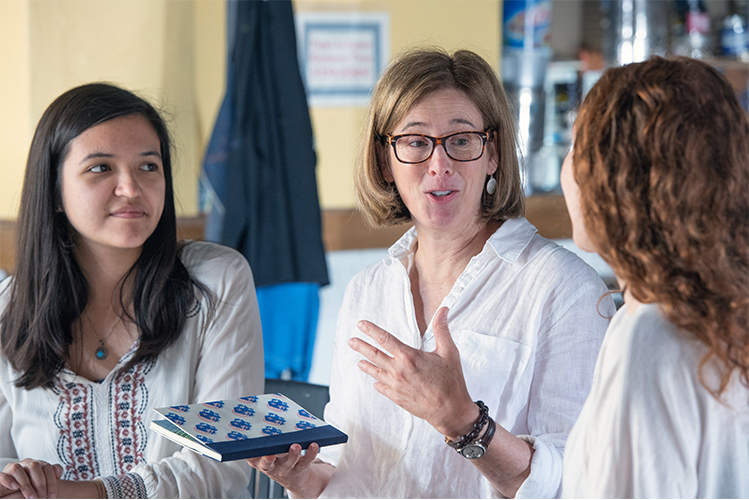 Ensuring that students have a sense of belonging in RCAH, through honoring their stories and continuing to cultivate an ethical community, is a priority of RCAH, the Dean says. Read more. The RCAH is pleased to announce the following recipients of the 2017-2018 RCAH Graduate Fellowships in Teaching and Learning. Applicants are sought for Perspectives on African-American Experience: Emerging Visions. Read more. A preliminary performance of Assistant Professor Lisa Biggs' play, done by her students, will occur on April 28th. Read more. A dozen RCAH undergraduate students showcased their work in the University Undergraduate Research and Arts Forum. Read more. This exhibit and panel sheds light on the historical events of 1967 Detroit. Read more. To end the 2016-17 WNL Series, Harris and Collins of Submerge and Underground Resistance engaged in a discussion of the origins of Techno in Detroit. Read more. Lead by Dr. Kevin Brooks, three RCAH students proudly presented their work for the scholars of the National Council for Black Studies. Read more. 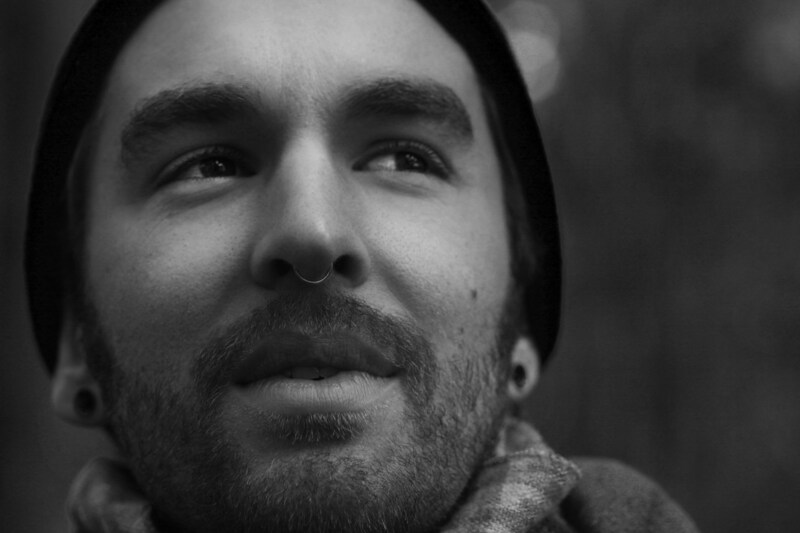 Kristal, a Michigan-native, wishes to capture the "ugly beautiful" in his photography. While visiting RCAH classes and WNL, he described his passion and where it has taken him. Read more. RCAH students enjoyed a conference held in Washington D.C. to celebrate the 50th anniversary of the Association of Writers & Writing Programs. Read more. The Dean states that RCAH students, faculty, and staff are stepping up with poise and stamina to meet the challenge against democratic institutions. Through a Peace Game, participants will engage in activities regarding democracy and peace. Read more. The Globalization of Yoga, a section of RCAH 203, has proven to be telling of yoga history, spirituality, and broadening perspectives of other ways of knowing. Read more. The 5th Annual MSUFCU RCAH Dean’s Choice Award for Innovations in Civic Engagement is accepting submissions. Read more. The current exhibit in RCAH’s LookOut! Art Gallery, The Fire This Time, opened on Martin Luther King Jr. day and is part of the 6th Annual “Perspectives on African-American Experience: Emerging Visions” Artist’s Residency and Exhibition. Read more. Williams’ displayed work includes paintings, collages, and drawings in an installation that explores African-American male experience filtered through provocative, engrossing images of figures influenced by sci-fi and World War I-era Dada. Read more. Students in Dr. John Aerni-Flessner’s proseminar course have been exploring Malcolm X's relationship to Greater Lansing through a series of guest speakers. Read more. RCAH welcomed five alumni home to speak at the third installment of the Wednesday Night Live 2016-2017 series. Read more. In a time of reactionary politics, the concept of "radical poise" is to be embraced, says the Dean. Read more. Ilene Curts and Bruce Thayer's exhibit focuses on their respective talents in painting and printmaking. Read more. Biggs' AFTER/LIFE production will tell the stories of many overlooked women and girls of the 1967 conflict in Detroit. Read more. To discuss the Flint Water Crisis with the RCAH community, a panel of individuals well-versed on the issue were invited to this installment of WNL. Read more. Artist Chen Shapira reflects on art's change making power in exhibit "Lines of Flight"
Shapira's exhibit is an ink on paper series that focuses on Israel and the perspectives of its people. Read more. The first Latino to hold the position, this U.S. Poet Laureate is the author of thirty books form poetry collections and novels to children's books. Read more. One Book, One Community author Ben Rawlence is changing perspectives on refugees, one book at a time. Read more. 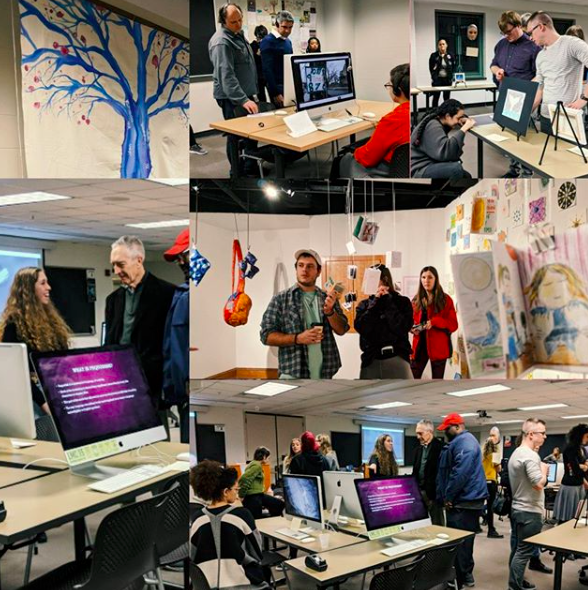 The RCAH Spring Showcase of 2016 featured a wide array of graduate and undergraduate projects from the semester. Read more. MSU PeaceJam has teamed up with two RCAH students to create a night of music, peace, and activism. Read more. Griots mediate conflicts so that they do not escalate into violence, says the Dean. At the PeaceJam Jam, RCAHers have the opportunity to understand how to encourage peace in difficult times, and become griots of their own. Read more. When his first wife was battling breast cancer, digital artist Liu decided to begin this new project that is on exhibit in the LookOut! Gallery. Read more. “Our goal was to see how we could use performance and visual art to create a space that a community dialogue could take place,” former RCAH student Andrew Jason said. Read more. Another installment of RCAH Dialogues will center around creating a safe space for marginalized students in RCAH. “Folks need to be supported and they need to be affirmed. They need to have their coattail pulled when there are issues and challenges and I think that’s important. Community is the root of one’s ability to be successful,” Lourdes Ashley Hunter said. Read more. Both artists appreciate the way hip hop can be used to mobilize people and create discussion. Read more. During their week-long residency, Brown and Wilson visited classes, conducted workshops, and participated in My Brother’s Keeper. Read more. 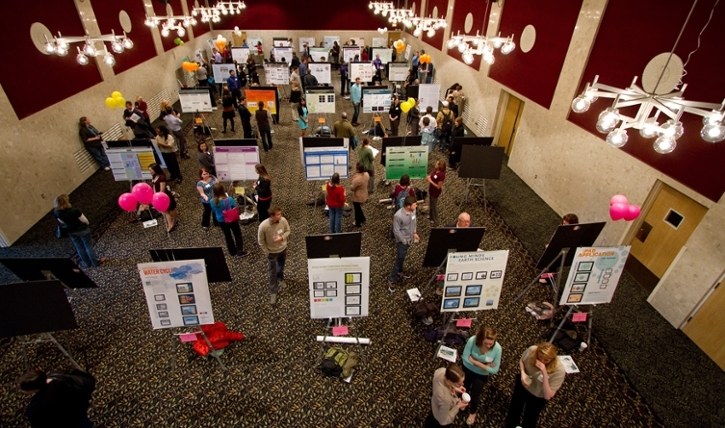 The Fall 2015 showcase, hosted by RCAH, was displayed in Snyder Hall on Dec. 7. Read more. Two RCAH students landed first and second place in an Office of Study Abroad essay contest. Read more. Project Re-stART is a community art installation consisting of mosaicked barricades strung with chains of painted butterflies. Read more. “I just learned that these women had absolutely heartwrenching stories about what had happened to them,” Alderman said about her work surrounding the women of the Congo. “The show itself was pretty small; we had something like 50 pieces, and now we have over 400. The art show has become such a major institution in the state … it’s really changed the culture of art in prisons in the state of Michigan,” Paul said. Read more. RCAH alumni join together again to discuss the work they have done since graduation. Read more. The Dean discusses several forms of storytelling that RCAH has engaged in with the community. Read more. Jarecki's work has impacted many students, and RCAH had the pleasure of hosting his Q&A on campus. Read more. WKAR’s Current State hosted the first in a series of three events called “Pop-Up Stories” at Lansing’s Allen Market Place with RCAH. Read more. On March 26, the efforts of five years’ worth of collaboration between the Residential College in the Arts and Humanities, the College of Engineering and Peckham, Inc. were revealed. Read more.